Weblizar wishes to all our valuable customers A Very Happy Diwali And Prosperous Diwali 2016. Another year will be over, another year will come. 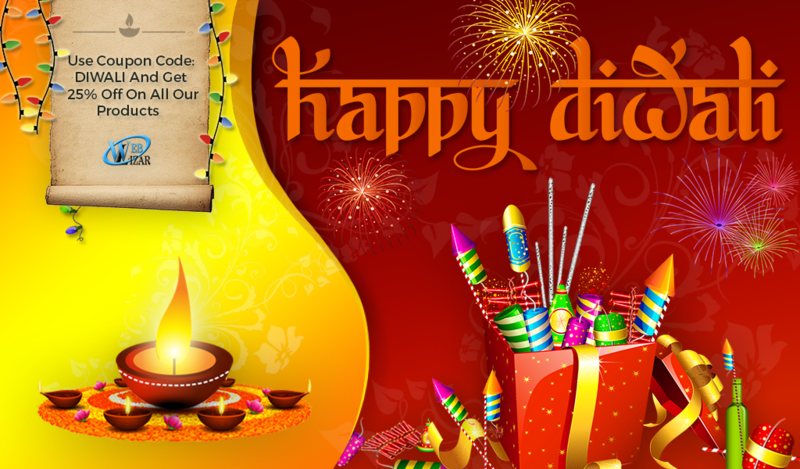 We hope and pray that the lights of Diwali illuminate the new chapter of your life. Happy Diwali! Celebrate this Diwail with Weblizar. Use coupon code : DIWALI and avial 25% discount on all our Products.